Expanding on its product line which makes it easy for someone to find your emergency contacts if you're injured, ICEdot (In Case of Emergency) is taking the idea one step further. Working with a company called SenseTech LLC, it's developing a tiny helmet sensor that knows when you've been in an accident, how severe it was, and automatically triggers your phone to call for help. When it's available sometime next year with an estimated price tag of around $200, the advanced ICEdot monitor will attach to any bike helmet and use motion and impact sensors to intelligently determine if the wearer has been involved in an accident. 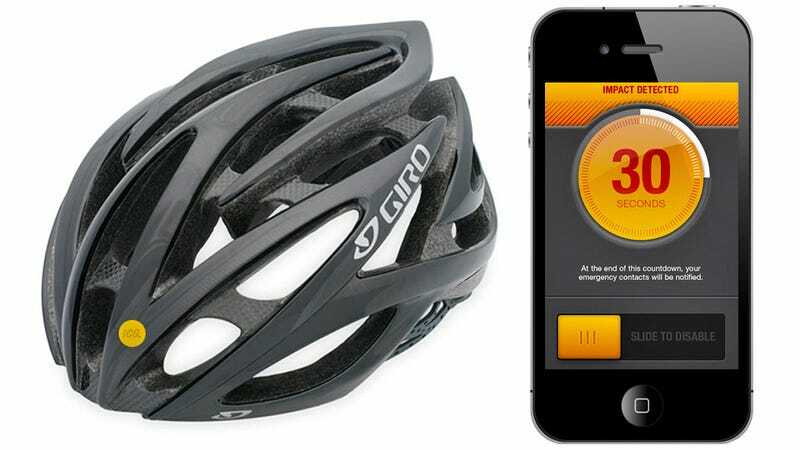 Using the new Bluetooth low-energy profile it maintains a constant connection to a smartphone app so that when an accident occurs, it can automatically alert the rider's emergency contacts with the time and GPS coordinates of the incident.